NEW YORK (Reuters) - General Electric Co (GE.N) shares stabilized after a brutal slide last week sent the stock near six-year lows, but the worst may not be over. Some investors still do not see enough value to warrant buying the shares, which have lost some of their luster as a blue-chip investment. They are sorting through massive changes announced by GE’s new Chief Executive John Flannery last Monday: hugely reduced near-term profit-growth prospects, a halved dividend, and a wave of promised divestitures. "In a sense, the stock is trying to find an investor," said Scott Lawson, vice president of Westwood Holdings Group in Dallas, who follows industrial stocks, as the stock was sliding last week. "That investor is not a growth guy, because they are not growing. It’s not a value guy, because they’re not cheap on the value metrics." The massive decline for the stock - more than 40 percent this year - suggests that it would pique the interest of value players. GE shares fell to $17.90, their lowest closing price since December 2011, after dropping 12.6 percent over Monday and Tuesday, their biggest two-day decline since the financial crisis. The stock edged back up over the rest of the week and closed Friday at $18.21 amid news that Flannery had bought about $1.1 million worth of the stock. But GE shares have not fallen enough for some investors. "What we are looking for is a sufficient margin of safety to reasonable intrinsic value, and at the current stock price, we just don’t think the margin of safety is there," Michael Kon, portfolio manager with Golub Group in San Mateo, California, said as the stock hovered around $18. Kon said he was looking either for the stock to fall further or for better-than-expected improvement in GE's power-turbine division before any investment. Investment advisory firm Alan B. Lancz & Associates bought some GE shares last week as the stock dipped into the $17 range, seeing value in the company's assets, which also include remaining major businesses in jet engines and healthcare, said Alan Lancz, president of the Toledo, Ohio-based firm. But Lancz said he sees GE as an investment with a three- to five-year payoff and acknowledged the stock may fall further before that. "We don’t see any short-term, intermediate-term catalysts but we think that there is value there," Lancz said. "It’s not high on our list of buys, but it is something that, I think for the long-term, it can be accumulated here." One question facing investors is how to assess the company against its rivals.Over the past 20 years, GE on average has traded at 19 times earnings estimates for the next 12 months, according to Thomson Reuters Datastream. That is well above the average of 15.4 times for rival diversified manufacturers Honeywell International Inc (HON.N) and United Technologies Corp (UTX.N) over that time. Following the stock's slide this year, including fallout from third-quarter financial results last month that Flannery himself called "unacceptable," GE now trades at a discount to those companies: 16.9 times forward earnings estimates against 17.3 times for United Tech and 19 times for Honeywell. 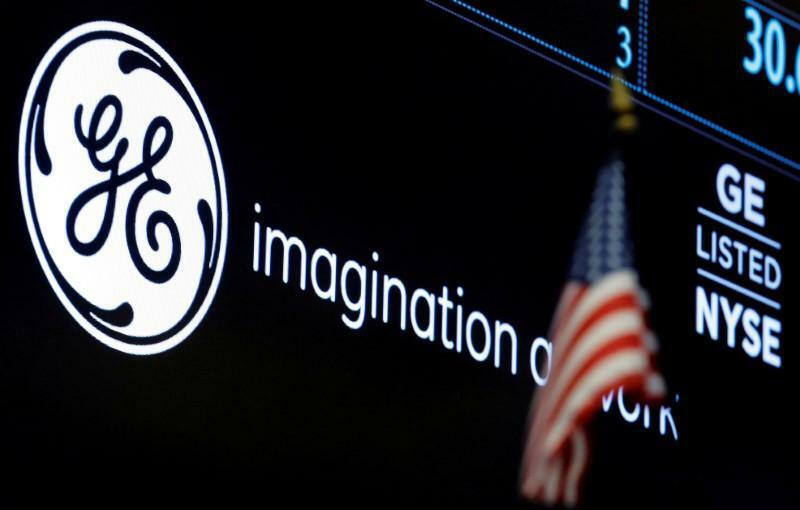 "It is going to take a long time before you can clear the cloud and maybe get GE back to a comparable valuation level with respect to other similar companies," said Chip Pettengill, portfolio manager at Bahl & Gaynor Investment Counsel in Cincinnati. Pettengill calls GE a "tarnished blue-chip stock." GE’s earnings power is stronger than the "trough," or bottom, projected for 2018, said Scott Schermerhorn, chief investment officer at Granite Investment Advisors in Concord, New Hampshire, who sees the shares particularly discounted to other industrial companies based on enterprise value to sales comparisons. His firm has held onto the GE shares purchased earlier this year, and is considering buying more, Schermerhorn said. "The businesses they have are at least as good as a typical industrial, and therefore we think with proper management you’re going to see earnings accelerate,” Schermerhorn said, while cautioning: "It’s not going to be quick."